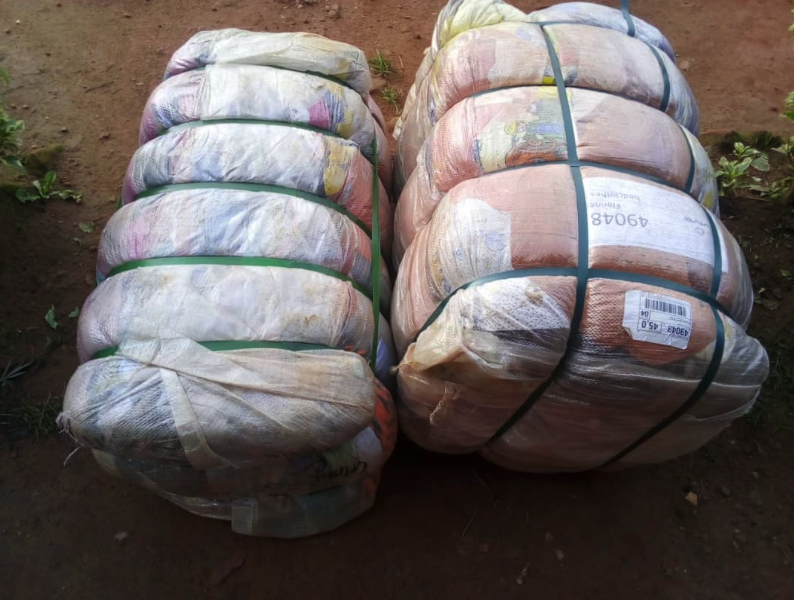 At least 30 bales of used clothes commonly know as caguwa, were seized in Rusizi District on April 8, as they were being smuggled into the country. The suspected smuggler identified as Kazungu Jean Paul was at the time attempting to cross through the water from the Democratic Republic of Congo, Police said. “They thought that the owner would go through the legal channel to pay taxes on arrival but he tried to force them to use an illegal landing site, which prompted them to call in the Police,” CIP Gasasira said. “The boat arrived on the shores at about 3am, where security personnel was waiting, although the suspect managed to flee, smuggled bales of second hand clothes were seized and handed over to the Revenue Protection Unit (RPU) in Rusizi. RPU is a Rwanda National Police (RNP) arm attached to Rwanda Revenue Authority (RRA) to fight fraud, smuggling and other fraudulent businesses. Under the East African community management act, to which Rwanda is a signatory, anyone convicted of smuggling an imprisonment term of between six and two years and other financial penalties. The automobile used in smuggling and the goods are auctioned while the driver faces a fine of $5000.